I happened upon Rececca Atwood's gorgeous hand-dyed Shibori Pillows on Design*Sponge yesterday and immediately clicked the link to her online store to see how much it would cost to get one (or two!) 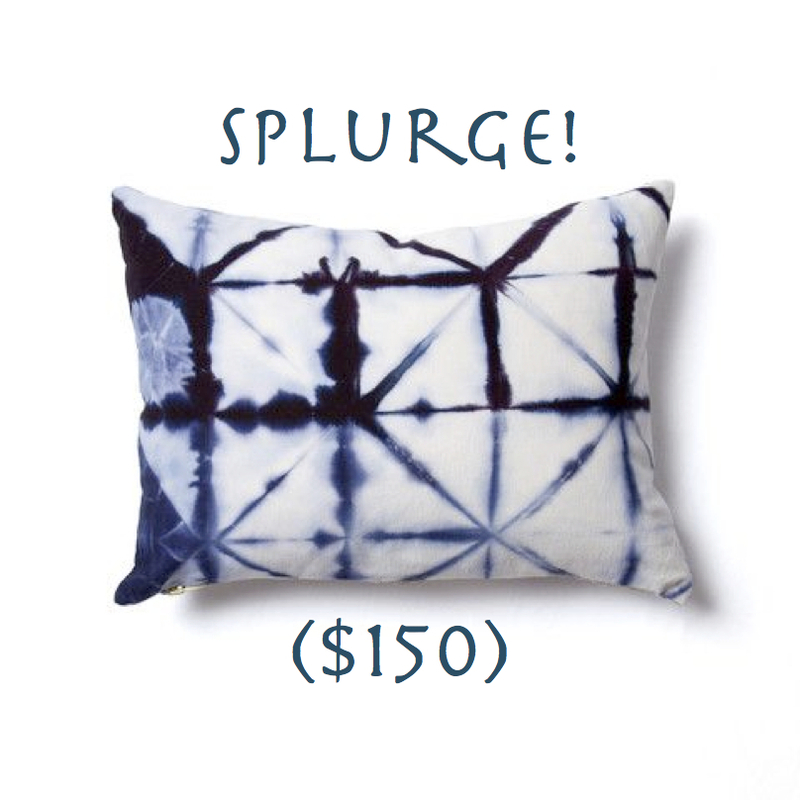 of these indigo beauties into my hot little hands. Well...let me just say that despite their swoon-worthy hand-crafted appeal, they don't exactly fit into my "design budget" or even "dream design budget" at $150-$260 a pop! 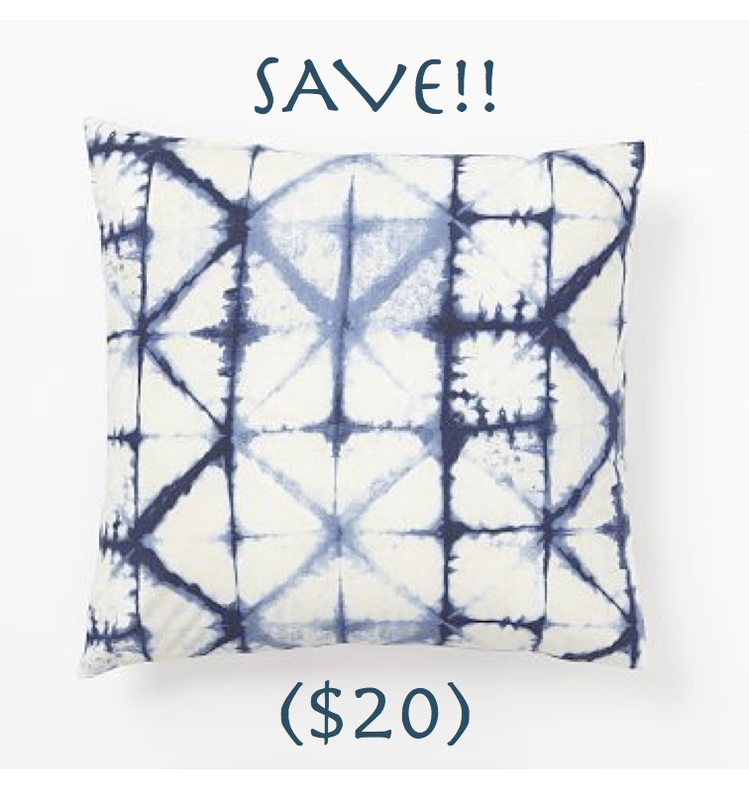 Then, I was browsing through West Elm's clearance section online today and stumbled upon these very similar Shibori Shams with a near identical print. And, guess what?? 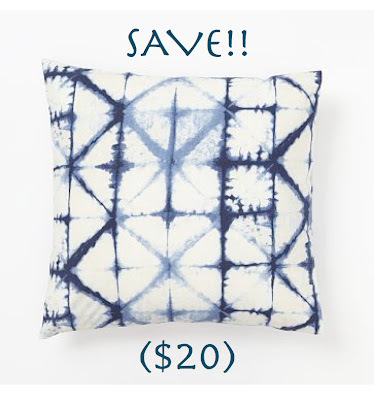 Not only do they come in 3 sizes, they just so happen to be on super sale for only $15-$20 each (pillow filler required, but oh well! ).